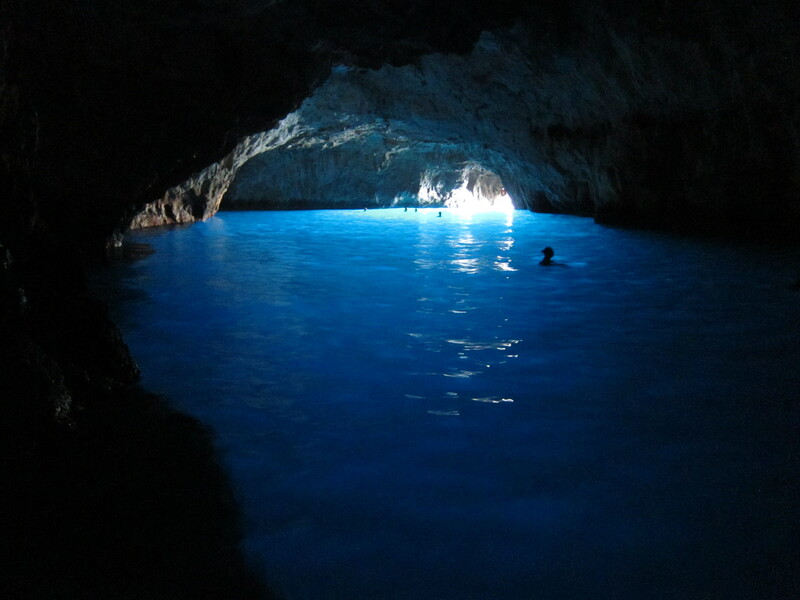 I’m told Capri is quite the holiday destination for the rich and famous. The place to be. Spectacular. Breath-taking. The stylish and inspirational leisure location for the stars. I don’t think they turn up to go climbing up to the top of Monte Solarno, either. That’s where you get the best views over the island. (You can cable car up there, alternatively. But then you’d have to put up with the knowledge that you’re fat and lazy. And that just sounds irritating.) 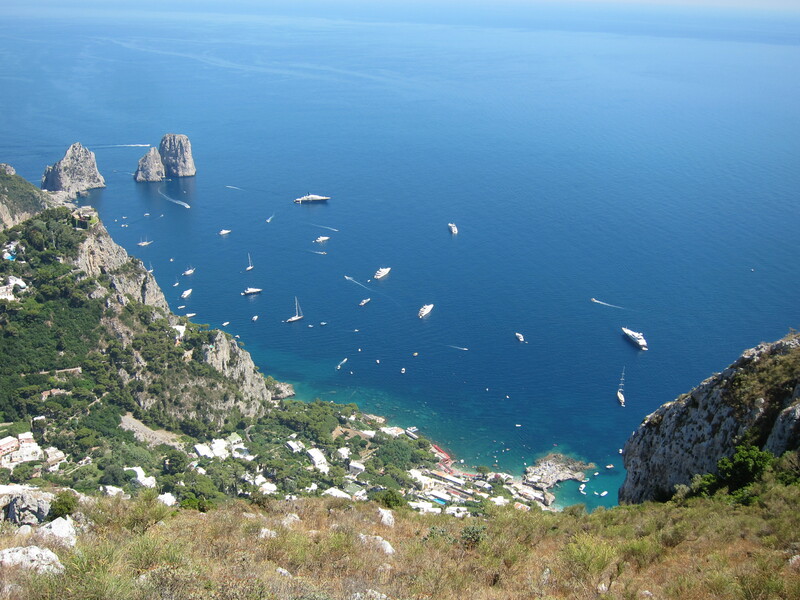 Nor, from Monte Solarno, are they likely to be wandering across the top of Monte Cappello, to get the best view down into Marina Piccola and across to the Faraglioni (aka the Sea Stacks). And they certainly are nice views. So, to be honest, I’m not really sure why they go. 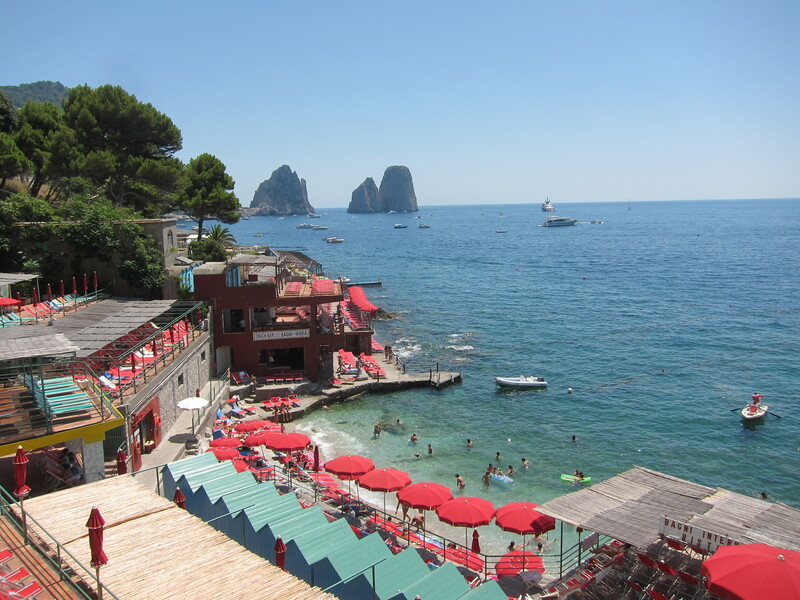 Marina Piccola seemed a bit of a disappointment, as beaches go – tiny, crowded, pebbled, and missing the better vistas of the island. 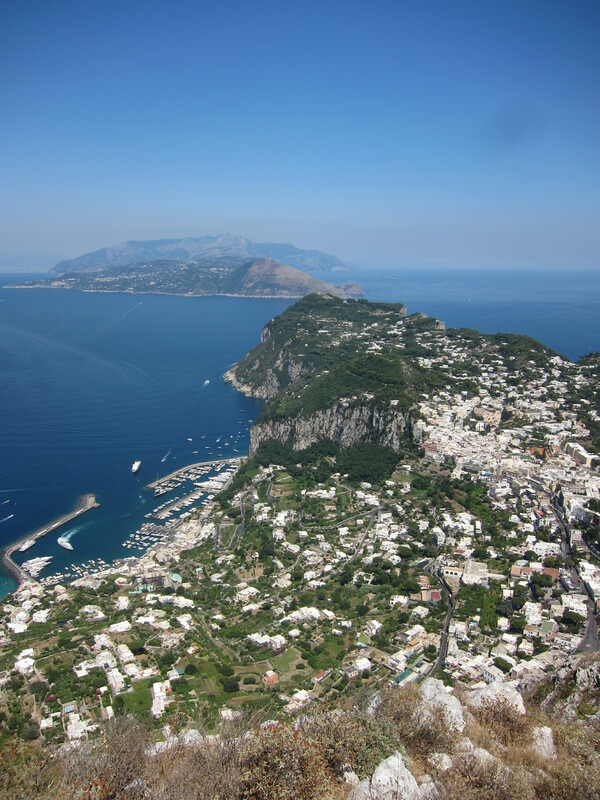 The towns of Capri and Anacapri seemed OK, but nothing to write home about (see Mum, that’s why I never emailed!). And the whole lot seemed overpriced and overcrowded. All up, I ended up feeling a little sorry for the rich and famous. I wasn’t sorry I went, don’t get me wrong. But it seems a bit like they could be missing out on more interesting holiday destinations elsewhere. This entry was posted in Travel and tagged italy by Sam Roberton. Bookmark the permalink. I don’t feel sorry for them – if they’re too precious to see Capri properly (the way you did) then they don’t deserve to enjoy it anyway!